Portable toilet emptying is available from Site Waste, we can empty your portable toilets on a ad-hoc basis, weekly or monthly. The portable toilet emptying includes disposal of waste, replacing chemicals and replenishing items such as soap and hand towels and cleaning to a high standard. 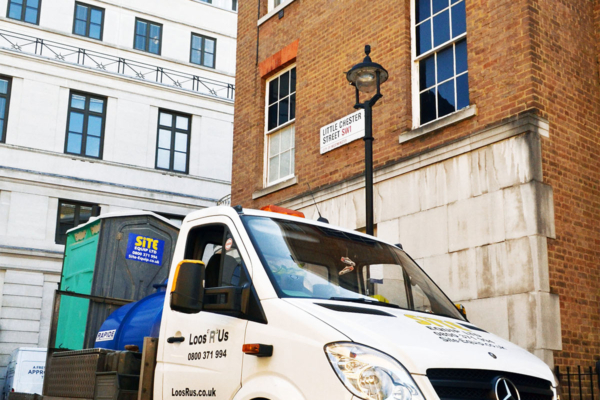 We have a dedicated team of service drivers with years of experience in liquid waste removal, as well as all being NSQ (National Sanitation Qualification) qualified – making them the most qualified people for the job! When you hire a toilet from us, a weekly servicing is included within the hire price. We use a large fleet of tankers when carrying out a portable toilet emptying, ranging from our 4,000 gallon tanker which is perfect for large events, right down to our smaller 4×4 truckers which are great for rougher terrain and off-roading, meaning that we are able to access almost everywhere to service toilets! Why order your Portable Toilet Emptying from Site Equip? Personal Service, you will have a dedicated account manager and a service operator, if you require weekly servicing. Professional Service, our portable toilet emptying service is the best in the UK, with our service operators completing their Level 1 National Sanitation Qualification and two winning service attendant of the year! Please get in contact if you would like to find out more about our portable toilet emptying services. You can call our friendly sales team on 0800 371994.